SARASOTA, FLORIDA, January 8, 2018 – Leading U.S. homebuilder D.R. Horton appears quite confident that the demand streak seen during 2017 in Southwest Florida for new home builds will spill over to the 2018 market. As an added push on Sarasota homes for sale, more residential construction are set at the community of Vilano located at the former course of the Sarasota Golf Club. Its developer, the luxury brand Emerald Homes of D.R. Horton, opened Vilano’s Phase 2 in the fourth quarter of 2017. Significantly, the affordable home unit of D.R. Horton, Express Homes, is also girding to enter the building frenzy at another new residential development, Glen Creek in Bradenton. Vilano sits on a 170-acre slice of Sarasota Golf Club’s former links east of Interstate 75 between Palmer Boulevard and Bee Ridge Road where it is accessible towards north via Sarasota Golf Club Boulevard. Adjacent north of this Emerald Homes development are notably some of the popular Sarasota “bedroom communities,” including The Enclave at the Villages of Pinetree, Palmer Glen, and Palmer Reserve, all lined on the stretch of Palmer Boulevard. 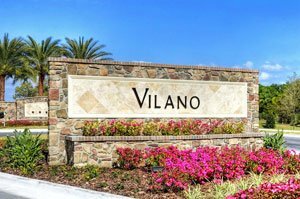 It’s acreage though that immediately sets Vilano apart from its neighbors. The lots in this community have been platted to a minimum of one acre. 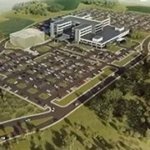 There are a few home sites which have been set at between 2.5 and 5.5 acres. Vilano is planned for a total of 126 single-family residences, with its Phase One of 78 homes already almost sold out. Emerald Homes offers seven designs in this community, which consists of one- and two-story builds in Spanish Mediterranean style with barrel tile roofing and paver driveways. Most of the Vilano homes include private swimming pools, but some inventory homes without pools have also been constructed. Additionally, prospective buyers can buy empty Vilano lots for them to build the floor plan they want. Choices of floor areas range from 2,558 to 4,363 square feet good for layouts of three to five bedrooms. These residences are priced from the high $400s up to the upper $600s and come standard with three-car garages. Pricing is more moderate at Glen Creek wherein D.R. 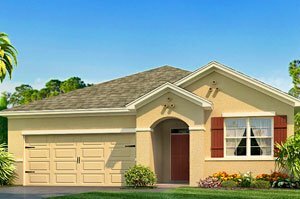 Horton’s Express Homes is joining Pennsylvania-based Maronda Homes in offering selections of Bradenton homes for sale. The $200s‒$300s are the price points of current sales listings in this new community located at the northeast corner of 26th Avenue East and 27th Street East in Bradenton. Express Homes is scheduled to open a home model at Glen Creek this winter season. It has lined-up a total of six home designs for this community rendered either as a single story or two-story residence. The one-story home models feature floor areas of between 1,750 and 1,850 square feet designed with four bedrooms and two baths. The two-story renditions have floor plans ranging from 2,432 to 2,807 square feet featuring four to five bedrooms, two baths and a half-bath. All of these designs incorporate a two-car garage. A gated community, Glen Creek boasts of a resort-style amenity center with an open-air clubhouse, a resort-style swimming pool, tot lot, and extensive walking trails. These features makes it ideal for young families who’ll likewise enjoy proximity to schools as well as to Bradenton’s life and leisure center.